Amazon released a new feature to enhance the reading experience on the Kindle app and e-readers through a free software update. Page Flip allows users to skim back and forth through the pages of a book as if they were real, physical pages. There is no reason to be afraid of losing their place thanks to the feature’s ability to automatically pin the page users are currently reading to a tiny area on the lower left corner, which they only have to tap when they are ready to go back to it. The free update is available for Kindle e-readers, Fire tablets, and versions of the Kindle app on iOS and Android. Amazon says “millions” of books on its site have the Page Flip feature enabled, but only those e-books using Enhanced Typesetting are today Page Flip-enabled. In order to check if a specific book has the feature, users can visit its Amazon page and see if it has the “Page Flip: Enabled” notice, which they can find right under the price and page length fields. 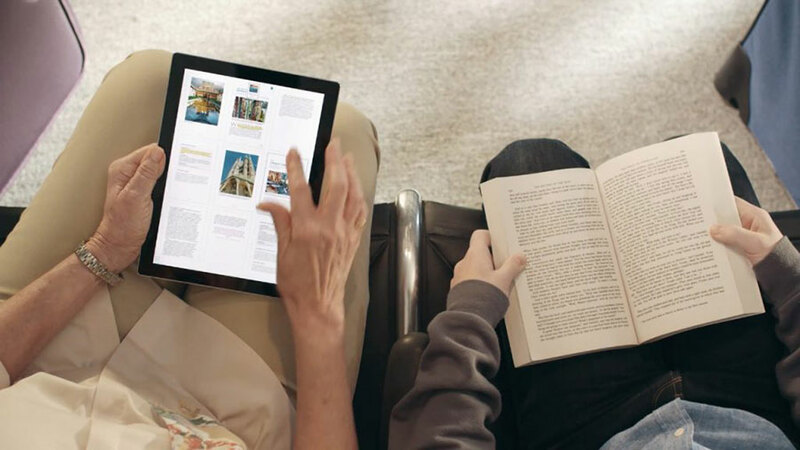 Regardless of the device, Page Flip is an easy-to-use functionality that allows users to flip through the pages of their favorite books, and the experience is not very different from fanning through a physical book. By tapping the screen, users will see that their current page will zoom out a little, and the center page will be revealed with a blue highlight around it. Previews of upcoming and previous pages will appear on each side. Users can then swipe left or right to scroll backward and forwards through the book’s pages in a very fluid manner. PC Magazine compared the experience with watching a magician flip through a pack of cards. The scrolling will stop with a single tap on any page. E-readers users can even toggle back and forth between the two pages that have been saved most recently. There is a bird’s-eye view that allows users to see nine pages of a book on a screen at once. They are arranged in a three-by-three grid, and the pinned page icon is visible on the lower left side of the screen. Books with illustration will not lose quality with the zoomed-out-view because pixel-accurate thumbnails keep the images clear while they capture font size and any margin changes users make in the settings of the Kindle app. Page Flip also works with Audible versions of books. Once users go into Page Flip mode and scour a book for a new page, Audible will keep reading from the most recently saved page, which is pinned in the lower left corner. The audio only resets if users tap on a new chapter. The Kindle app is now more similar to competitors such as Google Play Books on Android, which already lets users browse through the pages and visualize accurate snapshots. However, it does not allow users quickly to jump back to the page they are currently reading as Page Flip does.